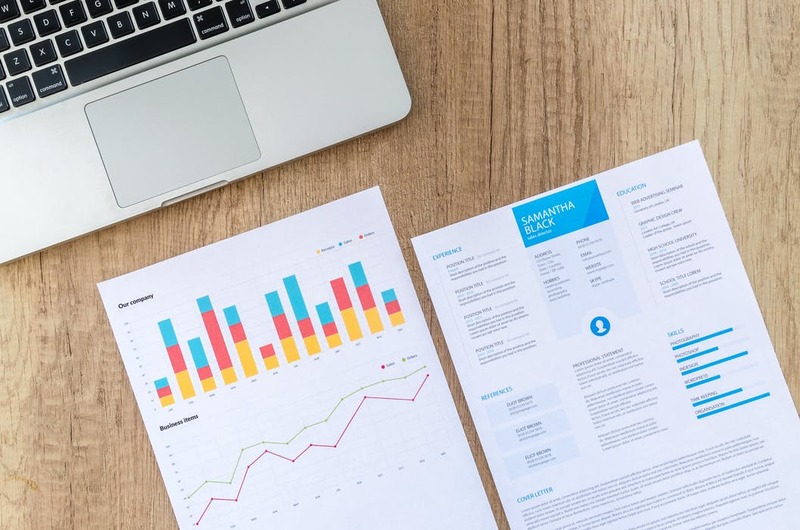 When applying for a job or trying to get a new client on board, we all love to pay a lot of attention to our résumé. And that’s because it is one of the deciding factors on whether or not you get a call. But guess what: Recruiters spend as little as six seconds looking at your CV. That’s an extremely short attention span. And no wonder – recruiters gets hundreds and hundreds of applications and have to develop systems to look through them as quickly as possible. Before you spend hours on crafting the perfect résumé, you should really get into their heads. The biggest mistake you can make with a CV? Sending the same one over and over again. Every job has key aspects, things you should focus on. Job experience or other facts about your biography that are vital for one application could be completely unnecessary for another. Tailor you resume to the focal points of a project. That increases your chances that recruiters are going to see them in the short amount of time that they have for your CV. In the timeframe of six seconds, you can’t look at a lot of stuff. But when recruiters look for specific words or skills, pressing CTRL+F to quickly look through the document is the easiest way to do it. And if they don’t find the words they’re looking for, they might just move to the next application. So identify the relevant keywords and make sure they’re in your résumé. One of the most important things for a CV will be structure. Make sure people can see at a glance what each section is about. Separate your education from your professional experience. If you have a lot of previous experience, think about separating that into categories as well. Clear formatting is what allows recruiters to quickly identify key areas. It’s 2017. A lot of your clients will accept a résumé that is submitted online or sent via email. So don’t be afraid to include links. Add your GitHub profile if you’re a programmer who has interesting projects there. Include a link to your social presence if that’s important to your business. Add your website. Make your CV clickable – that will encourage recruiters to check all those links out instead of having to google themselves. If you’ve worked with some impressive companies, make sure you highlight them. Big names make an impression on recruiters, especially if it’s a respected company with good reputation in the industry. Recruiters with decent experience will also be able to notice patterns like “people who work at company X tend to be accustomed to tight deadlines”. So make sure they don’t miss that big name and make it pop out with your formatting. You’ve probably heard this tip a thousand times and are tired of it already, but it can’t be stressed enough. Having a well-written résumé isn’t only about showing that you’re “good with words”. In the time of autocorrect, having spelling mistakes indicates that you’re just being sloppy. You didn’t bother to check that underlined word – which means you won’t bother with small details at work either. The “hobbies” section of a résumé is often scoffed at and ignored. Are you practicing some fun activity in your free time? Do you like to paint or play an instrument? Don’t be afraid to share that. First of all, you might share that hobby with the recruiter or other people that are part of the company. And secondly, it makes you relatable. It shows that there is a real, interesting person behind the lines of text. That’s something which recruiters might tend to forget when shuffling through tons of résumé each day. We know a lot of our blog readers work in the IT industry, so here’s a special tip for you: tech recruiters don’t care about job titles as much as they do about skills. Show them what you can do and include examples if possible (preferably with links, see tip 4). Do you like our freelancer tips? Tune in next week for more and feel free to suggest any topic you would like to see covered in the future – just let us know in the comment section below!